The Gymboss interval timer will give your workout the discipline and structure necessary to take your workout to the next level. This easy to use timer will allow you to control intensity and allow you to focus on the workout to get the best results possible! 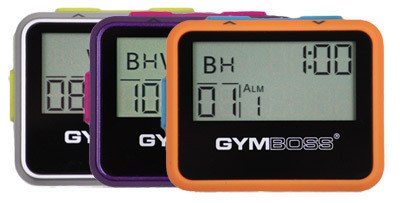 If for any reason you are not completely satisfied with your Gymboss timer within 30 days of your purchase please return to us for a 100% refund of your purchase price and standard shipping. We offer a warranty against manufacturing defects and will repair or replace any product found to be defective within the scope of normal use for the period of one year from the date of purchase.